Have the painted limo all to yourselves! We offer one of a kind team building and fun entertainment for weddings, corporate outings, family reunions and everything in between. Private tours include driver, limo bus transportation with pick up and drop off at a location of your choosing, private brew and farm facility tours arranged by Magic Bus, entertainment and accommodation by knowledgeable guide with visits to multiple locations with scenic, historic, and natural significance. 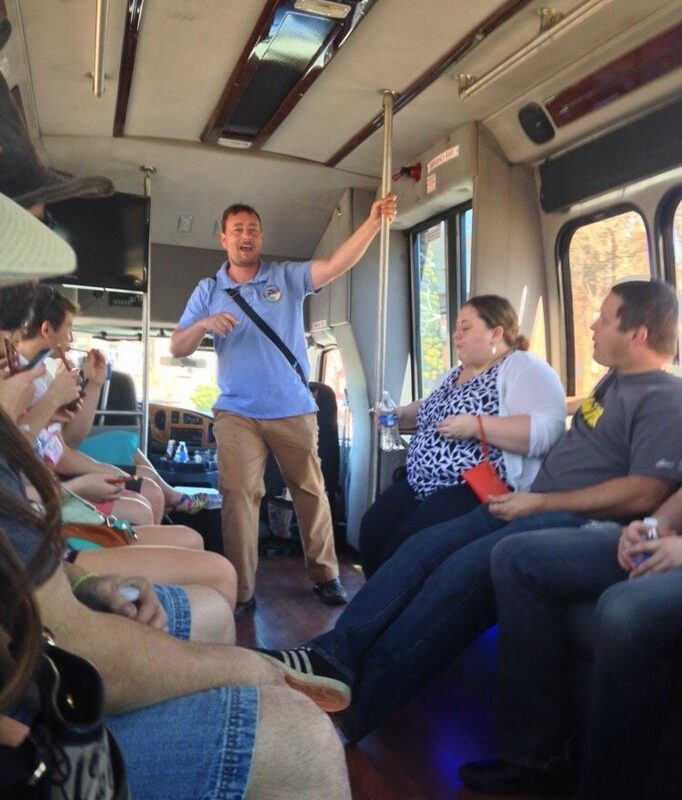 The cost for a private bus tour for up to 20 guests is $295 for the first 2 hours and $95 for each additional hour. 2-hour minimum on weekdays, 3-hour minimum on weekends. Our fleet can accomodate up to 65 guests. Larger group pricing available on request. Call us at 970-420-0662 or email Murphy@TheMagicBusTours.com to check availability for desired tour dates. At that time we can learn a bit more about your group and help plan your activity. What kinds of private tours do you offer? Private tours include Craft Brew Tours, winery and distillery tours, Sightseeing and History Tours, Ghost Tours, and Farm to Table Tours. We can also create a customized tour experience containing elements from multiple tours for an experience sure to satisfy the tastes of a diverse group. Private tours are offered every day of the week from 10:00am to 11:00pm. We are happy to reschedule your tour if given two weeks notice. For additional rescheduling or cancellation information check our cancellation policy.